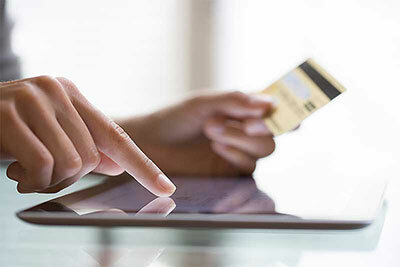 Consumers and businesses alike are choosing to buy a prepaid Visa online as an easy way to make payments and purchases. According to the Federal Reserve Payment Study in 2016, 69.5 billion debit card transactions were completed during the year for a total value of $2.56 trillion. The volume had increased from 25 billion in 2007. Debit cards include prepaid Visa cards, which can be purchased online. Businesses can buy a prepaid Visa online to securely make purchases. They can also give them to their employees to have better control of the way in which their money is spent. What is a prepaid Visa online? Buying a prepaid Visa online gives you access to a reloadable Visa card that businesses can use in place of petty cash and reimbursement systems for day-to-day purchases. While there are some prepaid Visas that are meant for consumers, the Visas that are designed for businesses are different. When you buy a prepaid Visa online for your business it must be linked to a business account. The business owner can choose how much money to load onto each card and can give cards to the business’s employees so that they can buy items for the company. When a consumer wants to buy a prepaid Visa online, he or she will simply load money directly onto the card instead of into a separate deposit account. How can buying a prepaid Visa online help me to grow my business? When you buy a prepaid Visa online for your business, it can help you to grow your business in several ways. Replacing expensive and time-consuming purchase and payment processes with the prepaid Visa card can help you to save transaction costs on daily purchases. The prepaid Visa cards can also help you to reduce your losses and to rein in your business expenses, freeing up more money that you can use to grow your business. Finally, when you pay your vendors and suppliers on time, it can help you to build your reputation so that your credit is boosted. How do I research a prepaid Visa online? Before you buy a prepaid Visa online, it is important for you to research the available offers. You can conduct a search on the internet so that you can see what is available. You might also want to look at trusted sites that have user reviews. For example, the Bento for Business Visa debit cards have been reviewed positively by many users on sites such as TrustPilot and Capterra. Bento for Business has earned a perfect rating on Capterra, is A+ rated by the Better Business Bureau and has been featured in numerous national publications, including Forbes and the Wall Street Journal. When you read the reviews, pay attention to the features that a prepaid Visa card offers to make certain that it will meet your business needs while helping you to protect your money. When I buy a prepaid Visa online what are the best features to look for? The best business Visa cards have business-specific features that set them apart. A good prepaid Visa card offers robust features to help businesses to control spending and to manage their expenses in an efficient way. When you are preparing to buy a prepaid Visa online for your business, you should look for a prepaid Visa card that gives you the ability to limit the allowable purchases on each card and to set spending limits per day. You should also search for a card that does not charge high annual fees and that is reloadable. Finally, you should check the security measures that the cards offer so that you can ensure that your information and your money will be protected. When you buy a prepaid Visa online for your business, you can enjoy several advantages. Giving your employees their own Visa cards to use to make business purchases can help you to get rid of petty cash systems, requisitions and approvals and expense reimbursement processes for day-to-day purchases. The cards can allow your employees to buy the things that your business needs without having to wait for the purchase request to be approved or to pay for the items themselves and wait to be reimbursed. Using the cards can give your business greater flexibility. 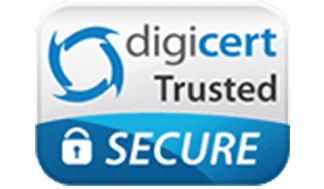 When you buy a prepaid Visa online one of the many benefits the card offers is the added layer of protection against the risk of fraud by preventing your employees from making unauthorized purchases. Getting rid of petty cash also helps you to reduce your fraud risk since petty cash funds are frequently targeted by thieves. Who benefits the most from prepaid business Visa cards? Large and small businesses alike can benefit from prepaid Visa cards, but small businesses may enjoy the greatest benefits. Many small businesses do not have internal accounting departments, and the owners have to track and manage their business expenses on their own. When you buy a prepaid Visa online it can let your business track and control their expenses. When you buy a prepaid Visa online you’ll find that you are able to choose finely tune the expense categories that are allowed on each card. You can import the transaction data directly into your accounting software so that you can avoid making mistakes when you manually enter the data. What makes a prepaid business Visa card important? A prepaid Visa card is important to businesses for several reasons. When you buy a prepaid Visa online it can give your business greater flexibility in its spending. The cards also can help you to track your expenses across departments in addition to tracking the spending of each individual employee. Cards that give you substantial degrees of control over the spending that can be completed with them can help your company to stay within its budget. Finally, a prepaid card that doesn’t let anyone to withdraw cash and that limits how much your employees can spend is ideal. How does a prepaid business Visa card relate to a business’s needs? The Association of Certified Fraud Examiners reports that small businesses lost nearly twice as much as large companies in the fraud cases that the examiners investigated from 2016 to 2017. The median loss that was suffered by small businesses was $200,000. The ACFE attributes this difference to the fact that many small businesses do not have strong internal accounting controls. 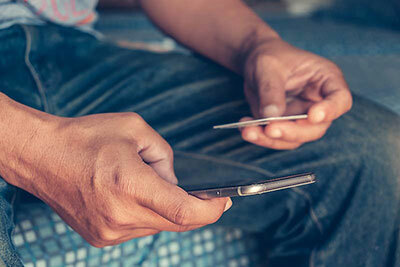 When you buy a prepaid Visa online you can restrict your employees’ ability to make unauthorized purchases while also not giving them access to your money or your accounts. A prepaid Visa card is not the same as a business credit card. When you buy a prepaid Visa online, you deposit as much money as you want into your account. Your employees can use their cards anywhere that Visa is accepted. While they have credit card numbers, they are not credit cards. Business credit cards are linked to revolving lines of credit. When you use them to purchase things, the cost is added to your balance. Prepaid cards subtract the purchase prices from the amount that has been placed on the card. Business credit cards require credit checks and charge high rates of interest if you do not pay your balance each month. A fraud case that happened in Wheeling, West Virginia, illustrates the importance of having prepaid cards that have tight spending controls. In the case, a human resources director who worked for the City of Wheeling used a purchasing card that she had been given to make purchases for herself. She also altered payroll documents, falsified receipts and paid herself bonuses that had not been approved. The woman reportedly began stealing from the city two months after she was hired in June 2016. She wasn’t caught until March 2018. The woman, Teresa Hudrlik, entered a guilty plea and is facing up to 20 years in prison and a fine of up to $250,000 at sentencing. She agreed to repay $80,000 in restitution to the city in her plea agreement. In another fraud case involving a city employee, a former revenue and utility billing manager who worked for the City of Surprise, Arizona stole $836,000 from the city over her 17-year career. During one seven-month period, the woman, Estella Sanchez, stole $78,000. Her annual salary was $91,000 at the time that she was fired in March 2014. The thefts were initially discovered when an auditor found that $1,100 was missing from the city’s petty cash fund. Sanchez reportedly requested checks for the petty cash fund and would instead cash them and use them for herself. She will serve one year in jail and be placed on probation for a minimum of five years. She was ordered to pay $836,000 in restitution and will remain on probation until it is fully repaid. One common problem that employers have with credit cards that they give to their employees is an inability to turn off an individual employee’s card remotely. When you buy a Bento for Business Visa debit card, you will not have this problem. You can access your employees’ cards from your online dashboard 24 hours per day. By logging in, you can choose the employee whose card you want to shut down and turn it off remotely by clicking or tapping a button on your mobile device or laptop. If a card is lost or an employee leaves his or her job, you won’t have to worry about the card being used. Another issue that can be solved when you buy a business Visa debit card online is the inability to limit where your money can be spent and the amount that each employee can spend. The Bento for Business Visa debit card solves both of these problems. One of the features that are offered with these cards is the ability to restrict a card so that an employee can only purchase items from a specific retailer. You can also limit how much money an individual employee can spend by the interval of your choice. These features can help you to keep the spending in check at your company. Expense reimbursements can present several problems to businesses. Businesses that use these processes allow employees to buy items for the business and to request reimbursements. Employees can submit receipts to request reimbursements. One problem is that some employees will submit receipts for personal purchases in an effort to get money from the business. Another issue is that employees who spend their own money may become angry if they have to wait for days or weeks for their reimbursement requests to be approved and checks to be issued. When you buy a prepaid Visa online, you can get rid of expense reimbursements altogether by giving your employees cards to use to make day-to-day business purchases. To get an idea of how a decision to buy a prepaid Visa online might work for you, imagine having two employees who each occasionally need to make purchases as a part of their jobs. You might give Sam, your paralegal, a card that he can use to pay court filing fees and process server fees with a limit of $1,000. Sarah, your office manager, might be given a card that she can use to pay your lease for your office printer and copier as well as your VoIP bills. If Sarah tries to use her card to buy lunch, the attempt will be denied, and you will receive a notification. If Sam tries to spend money from his card at the hardware store, the purchase will be declined. You can then decide how you want to handle either situation. Bento for Business is a company that was created by financial industry professionals who saw a need for small businesses to have smart expense management and fraud prevention solutions. The company offers debit cards that can work for you. The cards have extensive expense management tools and spending controls. Bento has thousands of loyal business customers who are happy along with terrific reviews. 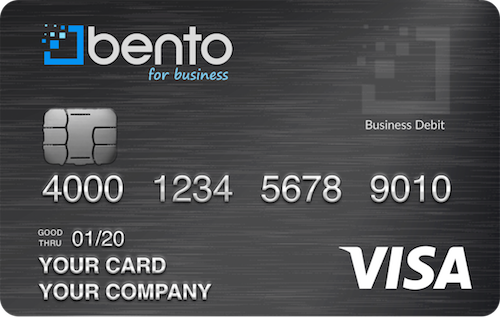 To learn more about how the Bento for Business Visa debit card works, call 866.220.8455. You can also start your free 60-day trial now by filling in your business’s information.